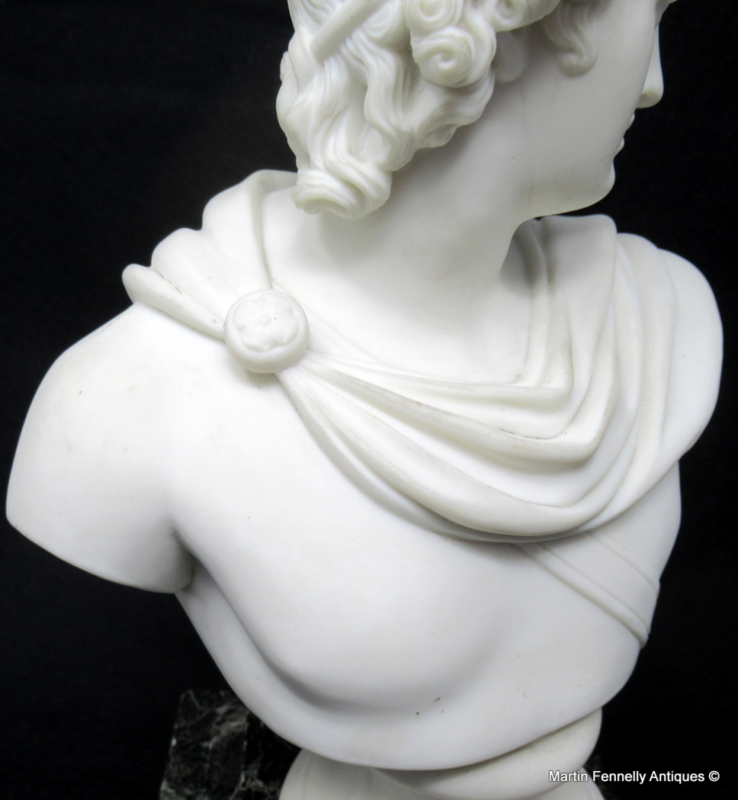 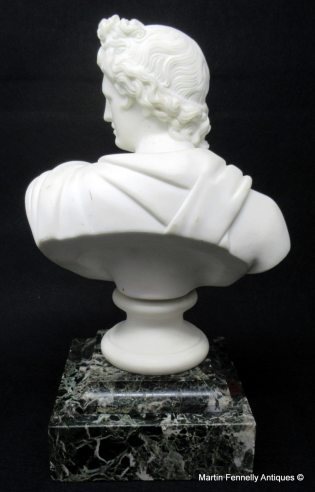 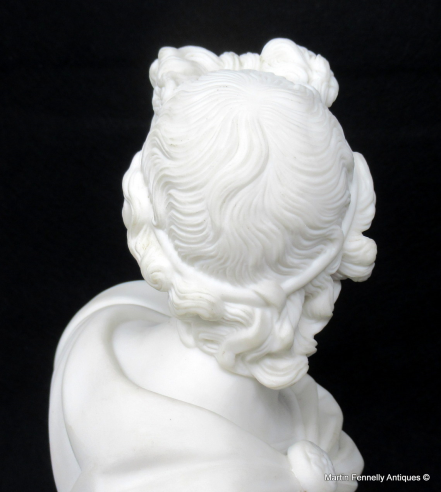 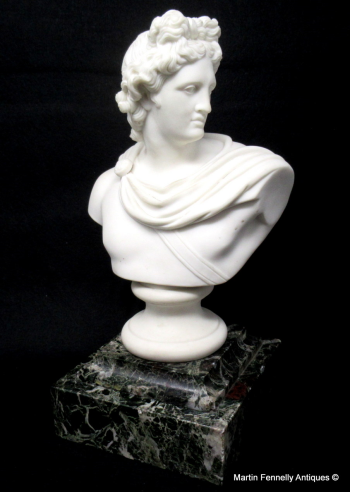 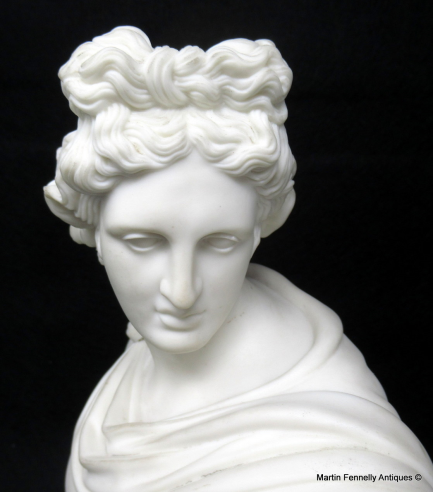 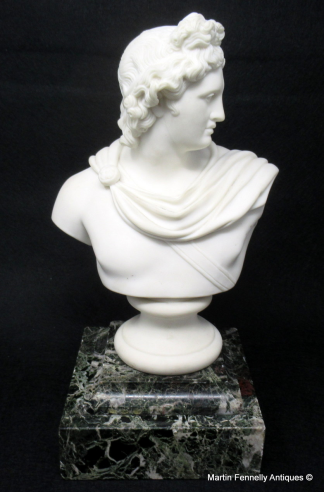 Parian Bust of Apollo Belvedere possibly produced by Copeland, complete with a well veined green marble stepped base. Last half of the Nineteenth Century. 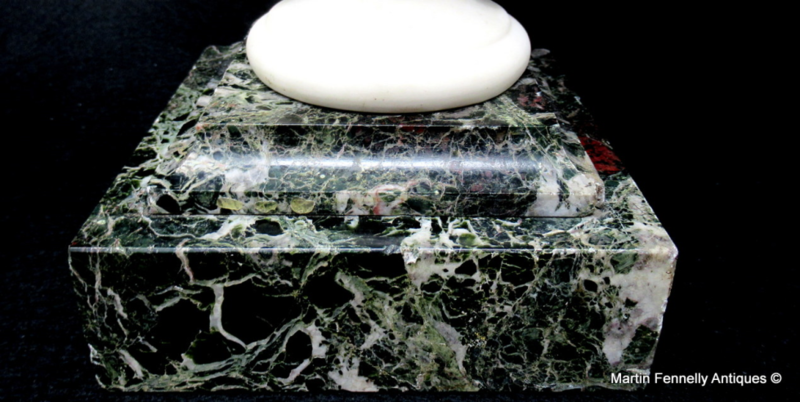 Condition: Superb condition with no losses. The green marble base is not attached.